Create yummy chocolate coatings for Zoku quick pops using a minimal amount of chocolate. The chocolate-coated pops can then be dipped in sprinkles or chopped nuts, or drizzled with additional chocolate. A huge hit at kids’ birthday parties, customizing chocolate-dipped pops provides fun for the whole family year round. 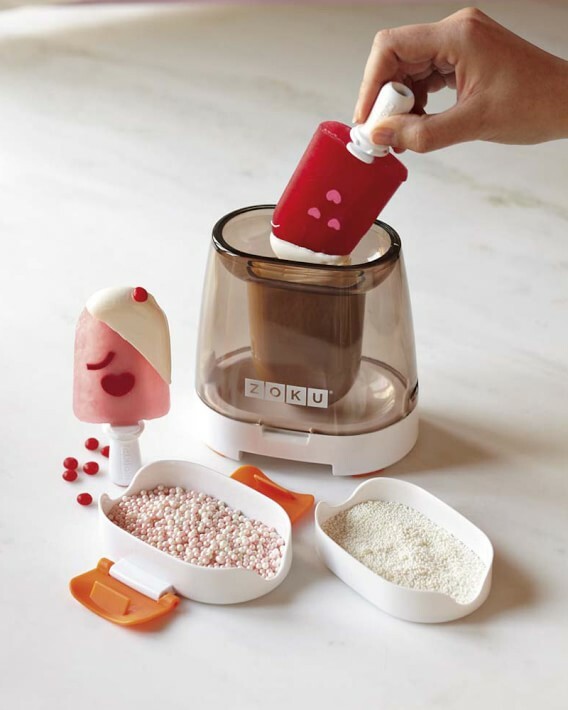 The Zoku Chocolate Station holds enough melted chocolate for eight frozen pops. Makes coating Zoku frozen pops with a thin, even layer of chocolate quick and easy. Two dipping trays hold popular extras such as sprinkles or chopped nuts.